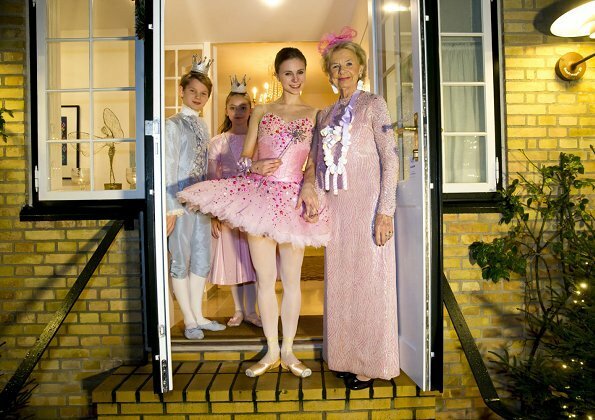 Two hours after the New Year speech of Queen Margrethe, the Queen and her spouse Prince Henrik attended the costume party held by their friend, ballet dancer Susanne Heering. 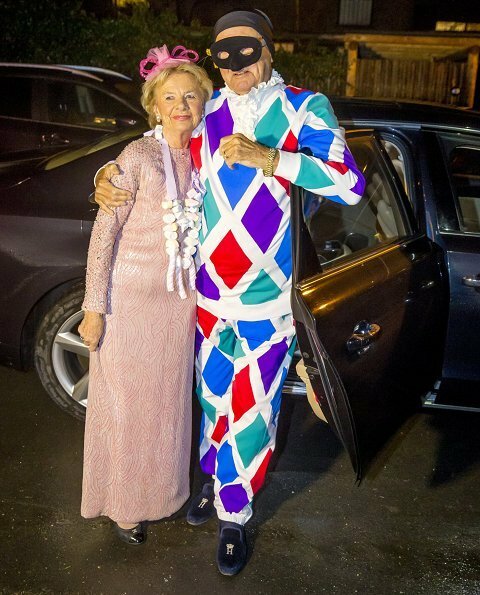 The theme of the party held in the New Year's eve was 'The Nutcracker' and Queen Margrethe and Prince Henrik wore Harlequin costume. Danish royal couple celebrates every new year with one of their friends as a tradition belief. Henry has lost some weight. Margaretha looks very perky, they seem to have a good time. This is so cute! The queen looks so youthful in the second photo. 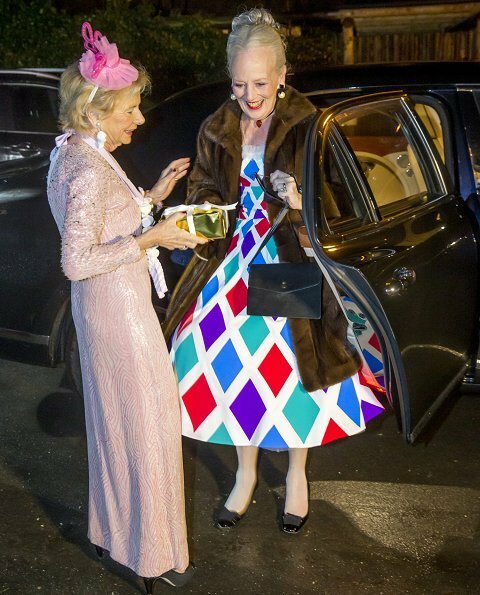 Queen Margrethe is great - very smart and has her own style. Vu de face Il semble aminci mais de profil ?? ?